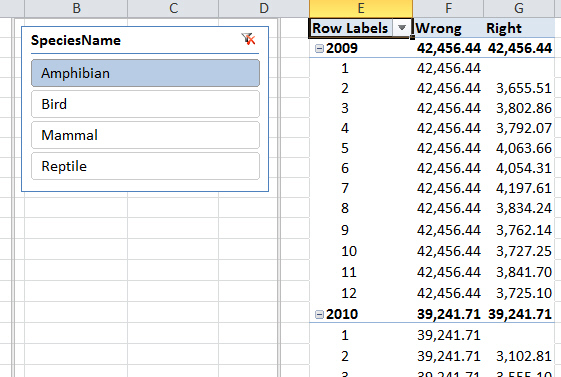 If you've just created a file called Clever PowerPivot, you should be able to use this as the basis for this exercise too. Otherwise, if you haven't already done so run the script in the above folder to generate the MAM database (not for commercial use or copying). The aim of this exercise is to create the Right and Wrong measures, so don't worry that you don't have these yet! Something is clearly going wrong! 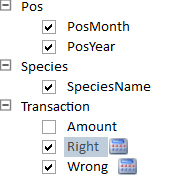 The problem is that the function is removing any filter context for the PosMonth column, and then adding a new one. Save this as No one likes January anyway, then close it down.